Well, Christmas has come and gone and to be quite honest I'm always glad when it does. Don't get me wrong I love Christmas more than anything, but to be frank, it's exhausting! The shopping, the running around and making sure each person on the list has equal amounts of goodies. Cooking, cleaning (more than I do on a normal daily basis, which in itself is quite enough believe me) the making sure all goes as planned and is monumentally special for all attending. It just seems every year I'm completely drained and need a vacation just to recover from the holidays. I find myself excited for him and then again saddened because I'm a Mom and that's what we do when our kids begin to really grow up and the fact they will be leaving soon slaps you in the face! I suppose though it was the same for our parents and they lives through it, so there is some hope for me. Of course Jim thinks I'm just a sap, but in the back of my mind I think, he says that now, but lets see his face when our boy is on that bus pulling away heading toward basic training in TX! He wont be so tough then I betcha!! So, as the New Year approaches, so does changes within our lives. As it always does the changes seem so huge in proportion, but in reality I suppose it's only life and the paths we must go down in order to live it. I officially need more hours in the day, then again dont we all. I really do though...I have so much to do and so little time to do it. Things are just crazy and while I'm used to crazy (as that is my life) I really would love to be the "supermom" everyone seems to think I am and get it all done with little to no effort. Wow, what a thought or should I say dream! So, lets see...what all do I have to do in the next few days. Okay, not only do I have my side of the family (my sister, nephew and his son) coming over Christmas eve to celebrate, I have Jim's oldest son (whom I've never met before....long story) flying in from KY for the holidays, I also have Jim's side of the family (his mother and her husband) coming over for Christmas day. Sooooooooooooo I need to spit shine the house (because you know everyone is always looking and never takes into consideration there's 9 people living in this house) I need to cook for both days and still have to get the last two presents for Tyler which I cant seem to find anywhere...UGH!!!! Of course all of this needs to be accomplished in what...3 days? Yeah, that's gonna happen easily right! Geesh, how do I get myself into these things? Oh yeah, it's the words "sure I can handle it" coming out of my mouth when confronted with situations of this nature...okay, note to self "shut up" when people ask "can you?" or better yet "just say NO" it's got to be the safer way to go!!! 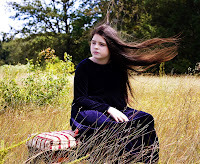 Now, while I'm stressing about what I need to get done, regular life continues to trudge along and while I find things stressful in everyday life, there are those moments when I absolutely love my children more than anything in the world because they keep life so much fun and interesting. Example...Tiffiany and Tara had their Scottish Dance class today (as they do every Saturday) they love this class and are learning wonderful things, gaining confidence and just enjoying themselves. Have I mentioned I really do need more hours in the day? It's really been a whirlwind kinda month, my birthday was on Monday and while I was hoping to spend this year celebrating as a whole family, sadly Jim's step-mother passed and he had to fly to CA to help his Dad through the loss. I am just sorry the whole family couldnt go, the kids would've loved to have seen their Grandfather (it's been at least 12 yrs since they've seen him and some of the kids have never met him at all) and possibly brought him a little joy in this time of sorrow. So, my birthday was spent with the children. Charity and Tyler took all the younger ones out on Saturday to go "birthday shopping" for me, and they all got to pick out their present for me. Of course when they got home they all couldnt wait to give me the presents (2 days early) so I got early gifts. They did wonderfully in their shopping and I mopped up in gifts that were both thoughful and useful! Bravo to them!!! On Monday we celebrated with a happy birthday song sung by all the kids (even the boys joined in) along with ice cream cake from Baskin Robbins (my favorite). Jim flew in that night around 11pm, he missed the festivities, but we were estatic to have him home, if only for a night before he had to head back to Camp Johnson for work the next day. Now we prepare for Christmas. A wonderful treat will happen on Christmas Eve since Jim's oldest son CJ will be flying in to spend the holiday with us. This is going to be such a special Christmas because this is the first time CJ has been here with us all, Jim is just so excited as are the rest of the kids! We all cant wait to see him! So, while time is ticking along and I'm not completely prepared for the holiday yet, I'm so looking forward to it because this year I feel will be the best yet! How great life is and how blessed we are because we all can be together! Well now that Thanksgiving has come and gone life has settled down for about a second or two. Last week was crazier than normal I suppose, but I did accomplish the things I set out to, which is always a good thing since I'm easily distracted! Christmas being around the corner that always means we must do Christmas pictures for our cards. This is something that at times drives me batty and this year of course was no different. Have you ever tried to take a decent looking shot of 7 children before without loosing patience? It's not an easy task, and while my nerves flared up once and a while through this process I did manage to accomplish the task at hand. The shoot began with taking individual shots of the little guys, this in itself was challenging. 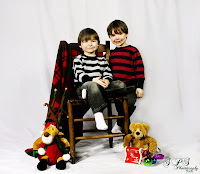 Even though they are good in front of the camera, Christmas pictures always adds an extra element to the mix of having to sit still, look at the camera and smile. Now we have props to add to the feel and emotion of the images, which automatically means the children must play with them, move them, click the music button a hundred times while watching the little things dance about in joy. 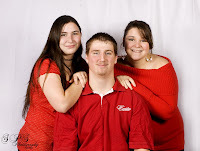 Of course this doesnt make for good looking pictures, so the session is always stopped as I explain for the hundreth time how they need to sit still and not touch until Mommy is done taking the picture. To a 4 yr old however this means "oh well we must touch them then" so the challenge begins! Finally the little ones pictures are done and look decent enough to include on a card, and it only took about 1.5 hrs! That has to be a record LOL :) So, we move onto the entire family (yeah, real joyous fun) so the portable studio is situated once again. Backgrounds are moved higher because my oldest son doesnt know how to stop growing like a weed. A bench is now added for seating and grouping for 7 children to fit in the shot. It takes a whopping 45 minutes to find a grouping that I like, moving 7 children with 2 4yr old overly active boys is never easy, and trying to keep them happy and teaching patience is yet another challenge! All the while the oldest ones complain saying "why cant we just shoot the picture and be done, who cares how it looks" yeah that's really what a Mom and photographer wants to hear coming from her own children! So, finally we figure out a grouping that looks good and we begin the shoot. Everyone is cooperative except the 4 yr olds! One is looking at the light while the other is frowning because I wont let him go play with his toys! It takes yet another hour to get a shot that everyone is looking at me and smiling. Smiling is another issue since my oldest son refuses to smile for a picture because he's got that "I wanna look tough" syndrome that I often wonder if it comes from his Dad whom never smiles because he's a "Marine". Men, sometimes ya just wanna smack them! Anyway, so we finally get the family shot and I'm beginning to feel good about this and am now getting my second wind, so I decide I'd like to have a nice picture of the 3 oldest kids. Now, we have to deal with the whole "I dont wanna lean on him, he's gross" complaints from my oldest daughter because you know it's not cool to be that close to your brother. Or the complaints from the boy because his sisters get on his nerves and this is stupid you want a picture of just us Mom. UGH...what was I thinking? So I get my "mean Mom face" on and begin to threaten lives if they dont act right, finally after 3o minutes of complaints and threats I get the picture I want! All I can say is this...thank goodness our Christmas pictures of the kids are done for the cards and while I always say "I'm never doing this again" yearly I suppose I should begin thinking up new game plans for next years pictures...thank goodness the majority of the recipients of these cards will never know the pains involved in getting good pictures of my children together! It's been football season for what a couple of months now and every Sunday our afternoons are filled with Jim and Tyler sitting on the edges of their seats inbetween the jumps, screams, high fives among other types of expressions to relay their joys or woahs concerning the current game and how the Panthers are playing it. This evening is no different. As I write this I see both my husband and son jumping up and down screaming "yes" or "you've got to be kidding me" chants depending upon the play at hand. Right at this moment I just witnessed the clapping of hands and the screams of YES as Jake Delhomme (not sure of that spelling) made an unusual run for the touchdown and actually made it. As I watch this activity in my house I often wonder how these guys literally let the outcome of a football game affect the rest of their day. If the Panthers loose the rest of the day is full of irritated men in this house, if they win then everything is hunky dori around here. It's actually kinda funny and I often know what the rest of my day will include depending upon the game results. Either I will be ducking fire or getting all I've ever wanted because of the cloud nine type good moods floating around the house. So, for the next couple of months I suppose my house will be filled with the wild and crazy mood swings that only football season can bring about. Sigh...men...they are truly a breed I will never understand, I'm so glad I stopped trying years ago! Why oh why is it so hard to keep clothes on a boy? Not only do I have one 4 yr old boy who refuses to wear clothes, I have TWO! It doesnt matter how cold it is, doesnt matter if we have visitors or not, they feel the need to strip their clothing and run through the house free as a bird! What is this about? I'm honestly at my wits end, especially when it's 25 degrees outside and our house is a bit drafty! I mean come on now, this is getting a little rediculous! I think what really cracks me up about the whole thing is the crazy wardrobe combinations...no shirt, underwear and socks on hands. Or, underwear and gloves on feet. I must say though, this picture truly represents my all time favorite combo of them all, and look at least he has a shirt on...sort of! We've all heard that saying right "patience is a vertue" and while that is true it's not a "vertue" I was blessed with! Which, in itself is kinda amazing since I do have 7 children and being a patient person should be a prerequisite in mothering. Now, dont get me wrong I'm not one of those Mom's who's constantly screaming at their kids because I'm impatient over things, no not at all. I do however find myself wishing things would move much faster than they do! Perfect example...my oldest DD wants maternity pictures done. She's seen some maternity images done of her friends and is always so disappointed in how they turned out. Funny how living with a portrait photographer can rub off on others. She notices lighting and composition, the angles in which the images were shot and how things that should be in focus arent and always says to me "Mom, you could've shot that so much better" or "what was that person thinking" which always makes me feel good she has that much confidence in my work and ability, but also sad that her friends have mediocre maternity photos to document such a special part of being a woman. Anyway, getting back to my point! So, she wants pictures done, and while she's really starting to show it's really not the right time to shoot these images. I told her we need to wait until she's at least around 32 weeks so the "belly" is really emphasized. She of course agreed and understands, but I however knowing this is the proper thing to do for maternity images am sitting on pins and needles to do this shoot! I keep talking to my Grandson saying "you need to grow for Nana so we can do pictures" which in itself sounds stupid I know, but I cant help it. I want her to have beautiful images to remember carrying him, to look back on in rememberance of the love she held for him before he was ever born. Those are the images I think that maternity shots are all about, and that of course is what I want to give her. I have all these ideas in my head swiming around with no where to go for the moment and it's driving me batty at times. So with my impatience and artistic vision working hand in hand we decided to give it a shot (love the pun) and shoot a couple of images from the side, just to see my ideas in front of me, not just in my head (we all know things are most wonderful in ones mind, but tend to look completely different in reality) and shooting a bit also calms the "impatient" creative side of me as well. The images turned out well and have calmed me down as I now know what will work and what wont. I still have all these ideas and visions on what the future images will look like, and will of course still continue to think of more things, but for now I'm happy with what we've gotten so far. Only about 7 more weeks until we can do the full blown shoot, so it's really not that far off and I really am looking forward to doing it. Hopefully others will love the images as much as I will love making them, then again as we all know in the photography world, beauty is in the eye of the beholder. What one may consider "beautiful" another may not. Oh well, it's the way of the world and one we must all accept! I suppose after I shoot the maternity session for her my next work up needs to be newborn images! I have some really great ideas for that session too...see...the wheels in my mind never stop turning! With fall brings fall cleanup (that's what I like to call it when I'm trying to get the kids to participate in leaf duty LOL) Jim was on leave for about a week, so he helped do some home improvement work on the house and also supervised the brush burning we conducted. Have I mentioned it's really nice to have a husband that is a "jack of many trades" because that means that he can fix most anything that is needing fixing, and also teaches the boys how to do this type of maintence as well! Makes life much easier on Mom. So, here we are cleaning up the property in preperation for winter. Burning leaves and brush along with the dozen trees Jim and Tyler have cut down around here. Hardwoods of course are cut up and put in the wood shed for burning this winter, while the pines are burnt in the burn pile. Have I mentioned how hard it is to try and clean, cut and mow 6.5 acres? It's not an easy task, especially when your riding lawn mower is broken and you really need a bulldozer to move things, but all you have is a wheel barrel UGH!!! We did however get it cleaned up, I suppose there is an advantage of having 7 kids, as even the little ones can have a job to do in helping out. I figured since this blog has been so neglected and I'm trying to update as much as possible, that this was a perfect opportunity to write what's been up with this crazy clan lately! Nothing major, other than normal life changes (well normal for us I suppose, not everyone is like us) so here's the skinny on our family happenings! As stated in the "Playing Catch Up" posting, we've moved back home to our house in Raeford NC and while we love being in our house with all the space and comforts of a larger than we're used to house, it's been an adjustment on so many levels! I honestly never realized how much I enjoyed living within the Marine Corps community or how much living on base was a blessing. Not that living here in our house is a bad thing by any means, but getting used to being out in the country with no neighbors and having so much property for the kids to roam has been rather strange. It takes us about 25 minutes to get to the Army base here (Ft. Bragg) so going to the commissary these days is not exactly a hop, skip and a jump from our house any longer. That's taken some getting used to I must say. Prices is another thing that is just blowing my mind! Now, gas prices as we all know have been crazy, but I'm talking about just everyday needs prices, milk, bread..things of that nature. I suppose I was spoiled in being able to shoot down the street to the "C-store" and grab some milk and bread for a lot less than what I'm paying now (and to think I used to complain about the prices then) not to mention the "no sales tax" benefits from shopping on base, yeah well that is no longer a reality for us, unless I want to drive the 25 minutes to base (as I'm sure you can tell I'm not into doing that on a daily basis) so I pay the sales tax and higher prices for the convenience of shopping somewhere closer...it's just a vicious cycle for me and one I'm having trouble adjusting to...call me crazy! On another front however we've had some great news. Jim was recently selected for Chief Warrant Officer 3, so he'll be pinning that one come August 09. We're all really proud of and excited for him! He of course was sweating the promotion board (as he does everytime) and was relieved he was selected. Frankly I'm not sure why he does this when it comes to promotions, I mean he really does his job above and beyond the requirements, not to mention he's always a giver of at least 110% to his job, his shop, the Corps and his fellow Marines, so the thoughts of him "wondering" if he'll be selected has always blown me away! I suppose considering he's a very humble man in nature, this shouldnt surprise me, but as always I am surprised at his feelings of uncertainty when it comes to things of this nature. The kids are all doing well. Charity is enrolling in college for winter semester and expecting her first child come spring. OMG that actually makes me a "Grandmother" doesnt it? You see though I'll not be referred to as "Grandma" because I am WAY TOO YOUNG for that, so I'll be "Nana" to my little Grandson! Yep, that sounds much better dont you think? 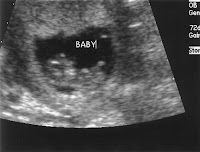 Anyway, he's due to make his appearance March 09 so we're looking forward to meeting this precious soul! Tiffiany and Tara start their new dance lessons tomorrow. They will be learning "Scottish Highland Dance" and are super excited as are Jim and I. We've always loved that type of dancing, of course I love the Highland dance, and Jim loves the Irish Step dancing (can you tell from what nationality we each come from?) so the celtic culture has always facinated us and the girls are just beside themselves they will actually be a part of a "Celtic School of the Arts" here in town. They are looking forward to working hard so they can compete in the Highland Games in Boone NC this summer! Their Granddaddy (my Father) would be so proud! So, as you can see we're still around and still a crazy clan as always. Never a dull moment in a family of 9, but even with the loudness, the hecktic schedules and all that comes with raising 7 children. I wouldnt have it any other way, because without them my life would completely meaningless! Well since it's been FOREVER since I've posted to this blog, and I feel a need to revive this place once again, I thought I'd post some past entries from another blog I have...am thinking I'll be keeping this blog as my main writing place, so I feel the need to play "catch up"
Well, it's been one crazy summer for me! Many ups and downs, ins and outs and now finally summer is over and fall has arrived. With the change of the seasons I hope good change continues as it has been for the last few weeks! We've moved into our old home and even though it was a crazy and unorganized move, we're finally settling in and things are getting back to somewhat of a normal pace. I've been trying to get back into the groove of schooling the kids (which was postponed due to the move) and trying to prepare for the holiday season that seems to be creeping up on me as it does every year very quickly. So, without further ado (I never know if I spell that word right or not, it never looks right...but that's a totally different subject isnt it) here's some of the many images I shot in the last 2 days of my girls playing, posing and just having fun helping their Mom find her nitch again behind the camera!Hope everyone is doing well and remember, smile, it's Friday...the weekend is almost here!!!! Many Blessings to everyone and their families!